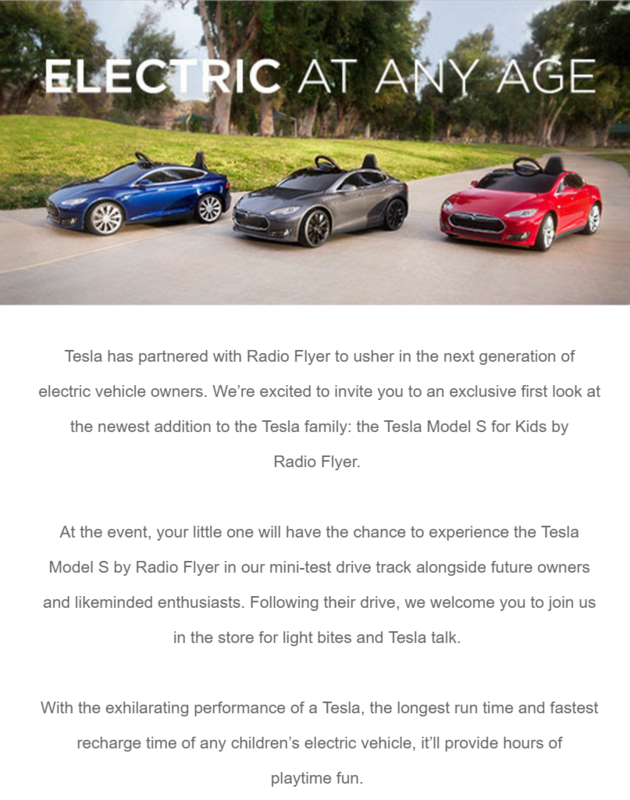 Now Tesla announced it will offer test drives in the ‘Model S for kids’ at its retail locations in a cross-promotional effort with Radio Flyer. It’s a great way to convert kids into Tesla fans and EV enthusiasts at a young age. The vehicle charges just like a regular EV so it makes for a good learning experience about EV infrastructure. Maybe kids playing with this toy car will never have to use a gas station. The ‘Model S for Kids’ starts at $500, but the company also offers several options and can customize the vehicle in Radio Flyer’s online design studio, which is similar to Tesla’s own design studio for the Model S.
If you want to order one, you’ll have to wait almost as long as if you were ordering a real Model S. Radio Flyer says the vehicle is already sold out through July.